"I love texture, lines and shapes, and feeling the jewelry through the first step until the last. " 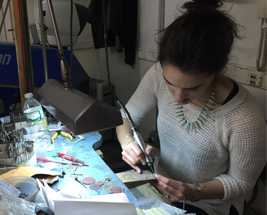 Amy Shepsman was first drawn to the world of jewelry making when she was a fine arts student at Cornell University. While she was studying printmaking and photography, she first learned about intaglio, whereby copper is etched and then pulled through a press. Amy fell in love with this creative process and from there, pursued an apprenticeship and then job working on the bench for a production company in Ithaca, New York. During this time, she learned the tools of the trade and became further enamoured with jewelry making and metal smithing. 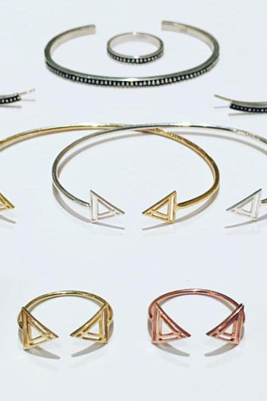 Founded in 2014 and based out of Brooklyn, Flaca Jewerly is a sophisticated, wearable jewelry line that exudes feminine beauty and independence. 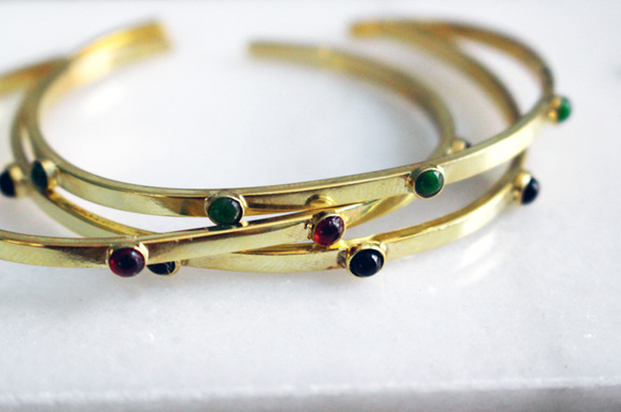 Inspired by the colors of nature and life in the city, Flaca Jewelry is entirely handmade, using expert artistry and craftsmanship to blend elements of modern and antique design. In creating luxury jewelry for the contemporary woman at approachable price points. What three things make you happiest in the world? Meeting new customers, my family and date days with my new husband.